There’s no denying that hearts are just so cute and happy! I wear heart-themed jewelry and clothing all year long! And I purchased an adorable lip and eyelash printed top at TJ Maxx over the weekend, and it inspired me to craft this blog post! Lips are equally as cute as hearts, and you can also wear them any time! 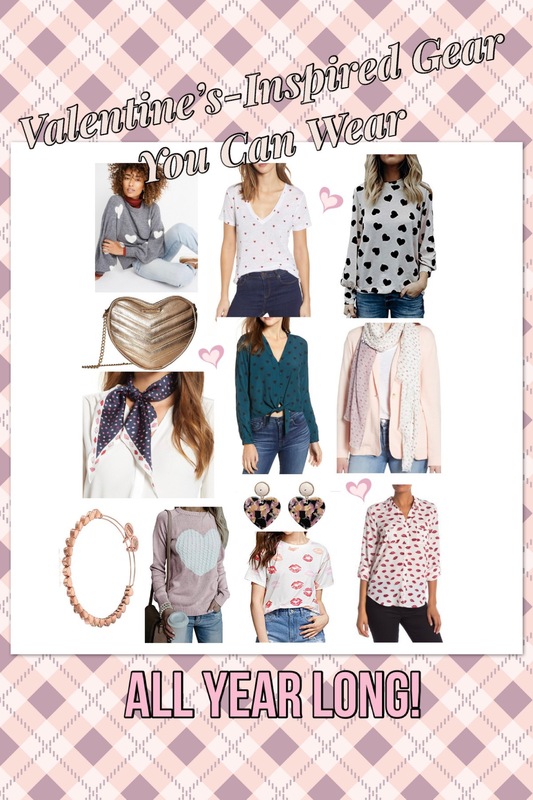 So here are my favorite Valentine’s-inspired wardrobe items you will want to keep wearing all year long! Hearts, Lips, and Cuteness, Oh My! Click the images to learn more! I had shared this outfit photo on Instagram, and it was a huge hit! Everyone loved the light pink heart sweater. Some of you already snatched up the sweater, and for the low price of $28.98, you can’t go wrong! It comes in more colors, as well. I love festive items that you can make use of all the time! It definitely makes being stylish and fun easier on your wallet! Just make sure you choose items that aren’t too over-the-top festive. (For example, you wouldn’t wear a Christmas tree sweater all year, but you might wear a red blazer on many occasions!) 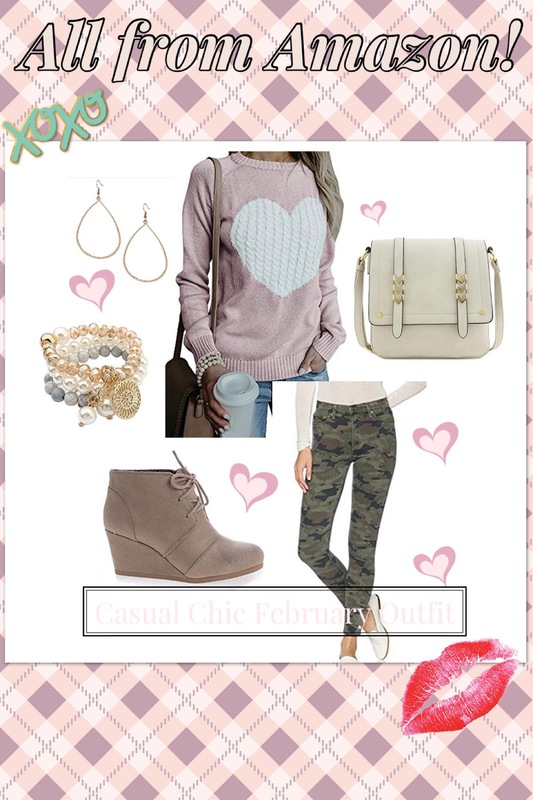 For Valentine’s Day, I chose pieces that are muted enough to suit your everyday life. Oh I would definitely rock all of these pieces all year. So cute!! Love (no pun intended) everything, but my favorites are both scarves and the cozy pink sweater! Can I have it all?! Especially that pink heart sweater! I want it all, too!! Cute outfits my daughter would love them. Will share them with her !! I love all the heart tops! And those heart earrings are too cute! Hearts are just the best! I’m such a fan of Valentine’s day gear, precisely because of all the pink and hearts! Great round up, so hard to pick a favorite! I hadn’t thought about what to wear on valentine’s day and this certainly gave me lots of ideas. Lovin those tops! Hope you found a favorite! I want all of those heart sweaters! And that purse! Isn’t the purse so cute?! These outfits look so pretty for Valentine’s!